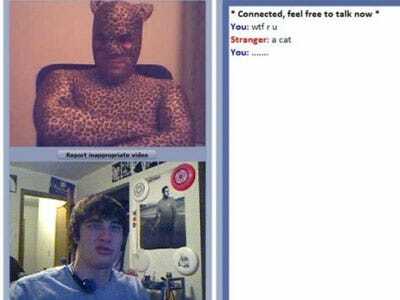 Chatroulette, the creepy video chat site, is drawing investment interest from heavy hitters including Google, Yuri Milner of DST, Skype, and Yandex, Google’s Russian rival, Der Spiegel reports. The product of 17-year-old Russian, Andrey Ternovski, Chatroulette has gone from 500 users in December to 1.5 million on a daily basis, says Der Spiegel. With that explosive growth, Andrey has found himself being courted by DST’s Yuri Milner, who has invested heavily in Facebook and Zynga. According to the article, Yuri wants 10% of Chatroulette, and he just wants Andrey to name a price. The value of Chatroulette is as high as $41 million, or as low as $14 million, says Der Spiegel, though it doesn’t say where those numbers come from. According to the article, Andrey’s only investors right now are his parents, who gave him $10,800 for a server. Andrey is trying to decide between Russian and American money. Either way, it looks like he’s going to be able to staff up, so he can clean up the site. Will it prove to be anything more than a fad? Guess we’ll find out.